About two months ago, in February, Google Chrome brought in the experimental WebVR technology. Now, the company has extended WebVR support for Google Cardboard VR headsets. WebVR on Google Chrome is essentially something that websites need to enable to give their users a VR experience without the need to download a special app for the purpose. Until now, Daydream-compatible devices have been able to use WebVR on Google Chrome, but only with the Daydream viewer, which is more expensive than Google Cardboard VR headsets. Much of that has changed over the past two months. 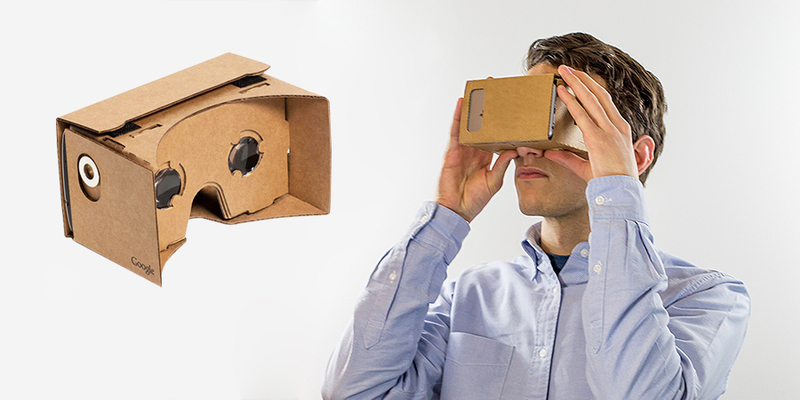 Android device users can now launch WebVR sites for the Cardboard headset. Of course, there aren’t that many VR headsets that support WebVR. For example, PlayStation VR from Sony does not support WebVR; HTC Vive only works with an experimental Chromium version on Windows, as well as Firefox Nightly and Servo; Oculus Rift also only works with Firefox Nightly and the experimental version of Chromium on Windows; Samsung’s Gear VR works with Samsung Internet and Oculus Carmel; of course, Daydream viewer and, now, Google Cardboard support it. For WebVR to work, you basically need a compatible browser and a compatible VR/AR/MR headset. Most headsets don’t yet support WebVR on regular Google Chrome, and other browsers don’t fully support it yet. For example, Microsoft Edge on Windows 10 only has preview support for WebVR. Now that WebVR has been brought to Google Chrome on Android devices for both of Google’s VR headset options, it will eventually spread to other browsers, operating systems and VR headsets. Unfortunately, iOS users, for the most part, have been left out of the WebVR experience. Surprising, since Google Cardboard is quite popular with iOS device users. But it’s encouraging to note that Google is still actively pursuing its Cardboard agenda. You can view the content on a website that has WebVR support, but you won’t get the full 3D experience that you’ll get with a headset. You can still move the screen for a 360-degree view, though. Google has linked to some experimental WebVR content, so if you have a VR headset that supports it, and Android mobile device and the Google Chrome browser, you can view some of that content here. No problem if you don’t have a VR headset that’s compatible – you’ll have have to tap or use a mouse to move the scenery around.